Get emailed automatically when I post a new blog article! Hi! I’m Lorraine. I love to write and create, but most of all, my family claims the premier shelf space in my heart! I’m so glad you’ve stopped by. Sit and have a cup of tea with me here and we can learn more about each other! A bright holiday tale that’s sure to entertain and delight audiences of all ages. 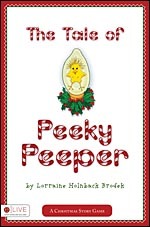 Based on Lorraine’s original drawings, Peeky will endear herself to you on first read. Take a “peek” here! 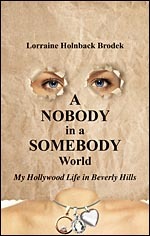 Be entertained with a hysterical journey through Hollywood from a lifetime “insider”, Lorraine Brodek.